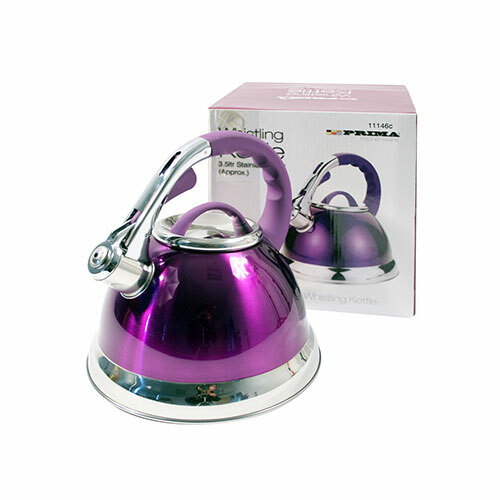 In a bright purple stainless steel finish this 3.5 litre whistling kettle is sure to stand out & add a touch of fun to any kitchen or camping trip. The kettle is great value for anyone looking to buy on a budget but get a good quality product. It features a comfy grip handle and has some high ratings from Amazon reviews.